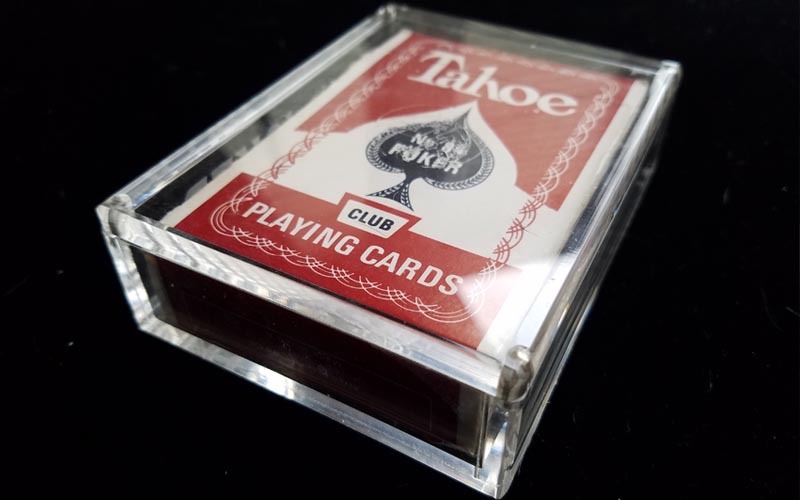 Show off your playing card decks in style, all while protecting them from the harsh elements. This classy archival quality playing card accessory makes a bold statement in any collection. Carat Cases are oversized to comfortably fit your deck and tuck box. Preferred by playing card collectors all over the world. Oversized to fit the deck and tuck box. 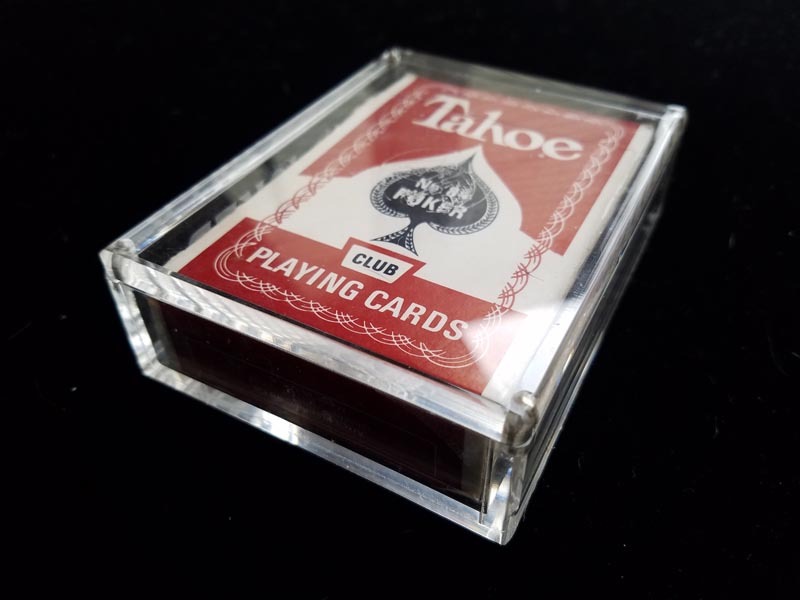 Whether you're a serious playing card collector or just someone with a few interesting packs of cards, Carat Cases are durable and easy to use. Simply slip the magnetic top off and insert your favorite deck. Close the lid and proudly display them on your shelf or at your desk. Designed with four neodymium magnets (10x stronger than regular magnets), the lid to a Carat Case slides on and off with ease. Carat Cases also come with four rubber stickers to prevent scratches on the bottom, adding to their high class appearance. Created out of 5mm clear archival quality acrylic sheets, Carat Cases are built tough to withstand most elements. With their smooth beveled edges and sleek corners, it's easy to forget how durable they are. They are constructed to last for a long time. 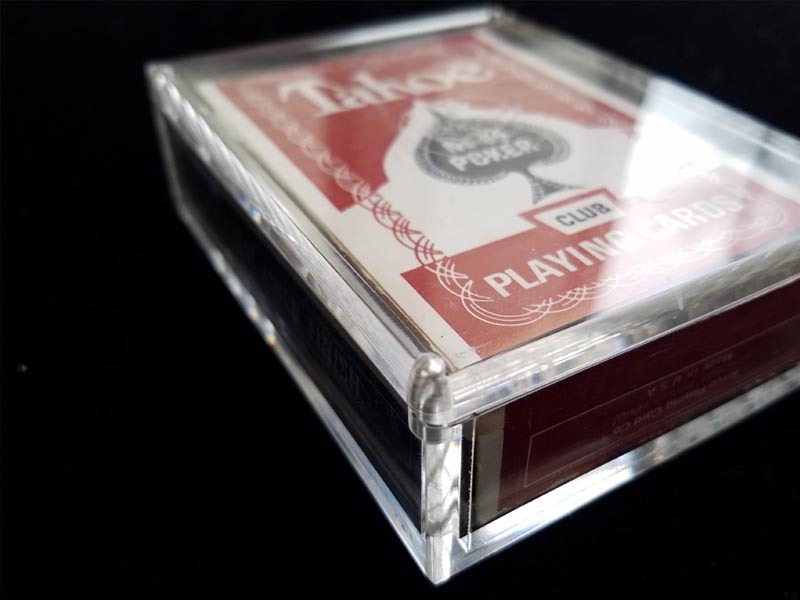 Keep your playing cards completely visible, dust-free, and out of harm's way by protecting them with a Carat Case. If you're looking for a classy way to show your prized possessions while protecting them at the same time, look no further. Carat Cases are for you. Are These Carat Cases For You? Carat Cases for your playing cards aren't for everyone. You have to own a deck of cards that you're willing to display. 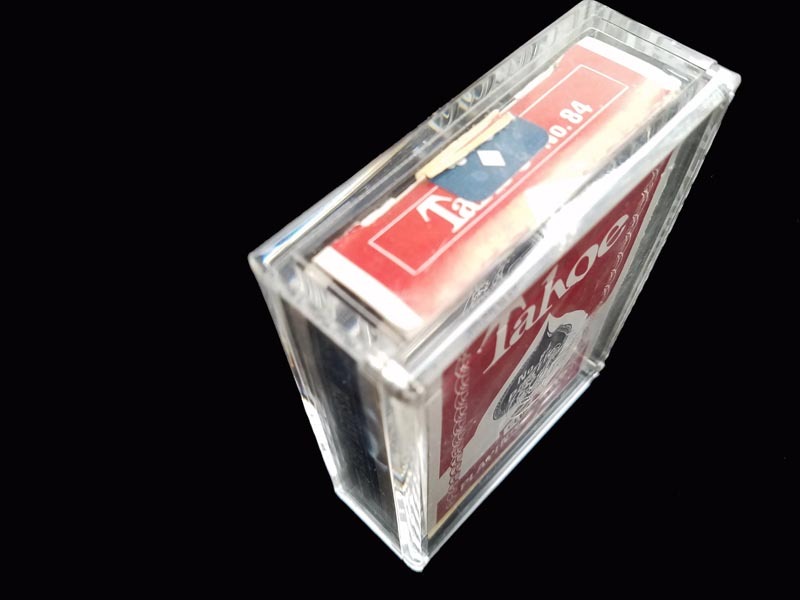 People will ask you about the deck in the Carat Case. It becomes a conversation starter. If this sounds like something that interests you, then Carat Cases are right for you.  Purchase a Carat Case today or still have questions? Just Ask.